Paracress, electric daisy or the jambu is really the latin cousin to Sichuan pepper. Unlike its more famous Asian flavour partner, paracress has had little impact outside its native region on the culinary stage. It has appeared in high end molecular gastronomy but this has been somewhat limited but pioneered some big names in the industry. It is said to originate from a Brazilian Acmella species but thats not too clear. What is for sure is that the Amazonian state of Para in Brazil is the main centre for this unusual herb and carries its name on international markets. 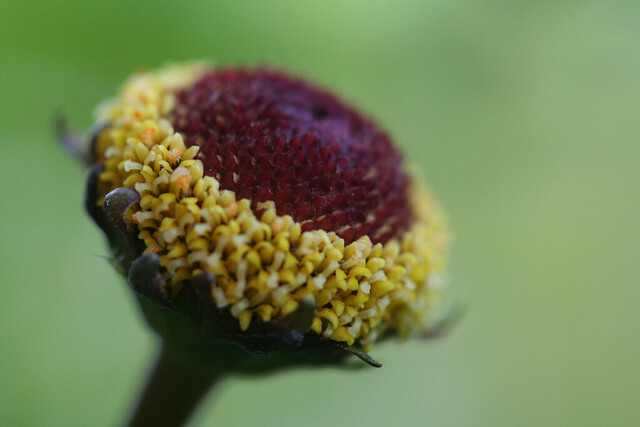 Paracress is a species of flowering herb from the Asteraceae family (Daisy). The flower bud of the paracess is what has caught the attention of the gastronomic world. It has a fresh grassy tangy flavour profile followed by a numbing sensation very similar to that of sichuan pepper but far more extreme. The whole plant has spilanthol, an analgesic alkaloid that causes the numbing of the mouth and stimulates saliva flow. Really the kick that a flower bud gives is more than enough to enjoy the peculiar qualities of this herb. Probably the most important dish that uses paracress is the soup called tacaca from Para state. It is mixed with manioc juice, chili peppers and garlic. Shredded leaves of the paracress can also be added to a salad. In Northern Brazil fresh and cooked leaves are used in stews. When cooked they lose their strong flavour and are thus very good leaf greens. As with other herbs, it can be used to enhance soups, stews and salads. Added to this quality, its numbing characteristic makes it a very interesting ingredient. Known as the kaffir lime in western markets it really should be called makrut if you want to be politically correct. The word kaffir has negative connotations in some Asian cultures. However for this profile we stick with the widely recognised name of kaffir lime leaf. 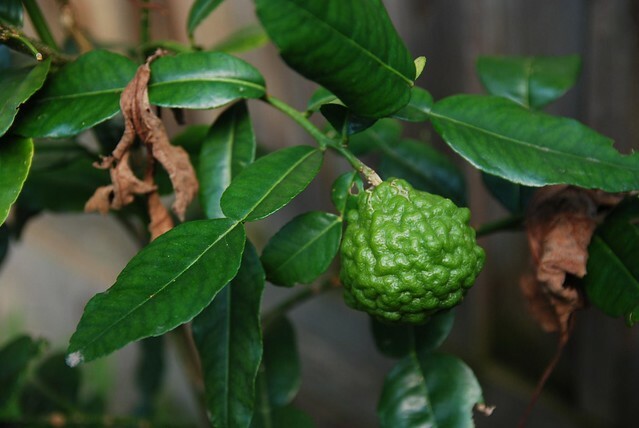 Native to tropical Asia stretching from India to the Philippines, Citrus hystrix (kaffir lime) has become completely associated with South East Asian cuisine. It is said to actually originate in Indonesia but this is disputed as the majority of the citrus family originate from parts of India. Either way it has become widespread in the region. Like other members of the Rutaceae (Citrus family) it is a thorny bush up to 35ft (10m) tall but often much smaller. 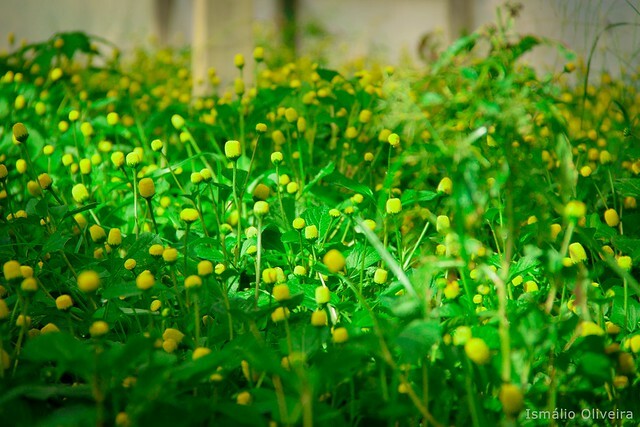 It’s characterised by the rough bumpy texture of its double shaped leaves and its small size. They have a distinctive emerald to dark green colour. Although considered a tropical climate species it can be grown in other more temperate regions as long as it is not exposed to prolonged frosts (much the same way as other citrus species). Kaffir lime leaf has a very aromatic and citrus flavour profile. It has a slight citrus aroma when dry or recently cut but the essential oils become greatly enhanced when simmered with other ingredients. What sets kaffir lime leaf apart is its aroma. S-Citronellal is the compound responsible for this with minor amounts of nerol and limonene. The weird thing with this is that R-Citronellal is found in lemon balm but not in kaffir lime. In the fruit peel of kaffir lime its main components are limonene and β-pinene. When possible get the fresh leaves but in reality that is not going to happen unless you live in a region with a large Asian community or are actually in Asia. Go for leaves whether dry or fresh that has at least some aroma. Dry kaffir lime leaves remain slightly aromatic and this is enhanced once put into a soup or stew. The essential oils will be released. The beauty of kaffir lime is that the whole leaf can be used in the cooking process. Normally in western markets you will find bags of dried kaffir lime on sale. The fresh produce in Asian markets will have a greater flavour and aromatic quality but both are perfectly adequate. There are exceptions to the rule where kaffir lime is cut extremely fine forming a powder. See cooking ideas below for this. In almost every dish that calls for kaffir leaf lime the idea is to extract all its essential oils and this contributes to the overall flavour profile of the recipe. It should be used like a bay leaf. Left in during the cooking process then removed before serving. Very young kaffir lime leaves can be added to salads but to get hold of these would almost certainly mean a trip to South East Asia. The qualities of kaffir lime leaf are unique among the other citrus species. The same aromatic qualities do not exist in the same way in fruits like orange, lime and lemon. This is what makes kaffir lime so interesting and worth buying. 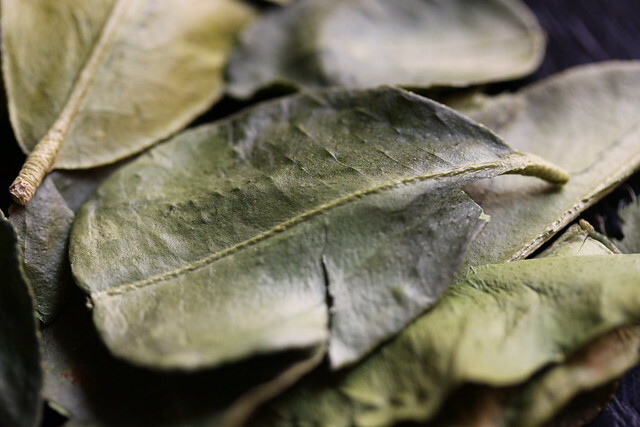 Kaffir lime leaf is an essential ingredient in a number of recipes. Tom Yum soup is one of these. Various Thai and Indonesian curry dishes call upon it too. It appears in shredded form in the Thai fish cakes Tod mun and steamed fish dishes like Haw Moak. A very common paste called Krueng uses kaffir lime as one of its bases. Not only the leaves but also the rind may be used creating an aromatic and astringent flavour. For a citrus kick to a rice dish add a few leaves to jasmine rice. Using kaffir lime in a marinade produces a delicious aromatic result. It is best used with chicken, pork or lamb. Kaffir lime added to rum can impart an interesting flavour. This practice occurs in Martinique, Reunion and Madagascar. Kaffir lime combines well with a huge range of ingredients. Fundamentals to Thai cuisine are lemongrass and ginger. Blended with kaffir lime creates a stereotypically Thai flavour profile. It goes really well with chicken, lamb and pork as well as a large variety of fish and seafood. Asian cuisine relies on the balance of all the taste groups so any food that complements the sharp sour sweet tang of kaffir lime combines perfectly. Getting hold of fresh leaves in the best way to go. A great tip is to dry the leaves under direct sunlight which adds in the release of more aroma than just simply using fresh ones. The intensity of kaffir lime leaf can vary depending on its source, how dried it is and age. Always taste the stew or soup regularly to see if more leaves need to be added. A VERSATILE EXOTIC INGREDIENT TO ADD TO YOUR NEXT SOUP, STEW OR CURRY. Lemongrass is a citric flavoured herb native to warm, temperate and tropical regions. It is used largely in Thai and South East Asian cooking. Known as citronella or sereh this interesting ingredient grows in dense clumps and is then cut up to form the more familiar spring onion like fresh lemongrass you find in markets. Almost always the one edible one found in markets is Cymbopogon Citratus (known as West Indian Lemongrass) but there are around 55 species worldwide so you might come across the few of these that are always edible. It is characterized but its swollen base which is far more tender than its woodier stalks. It can grow to a height of 3ft (1m) with a spread of around the same amount. Its unique fragrance often signals that lemongrass has been added to a dish. It can be described as having a lemon to sweet flavour profile that combines very well with a wide range of other ingredients. 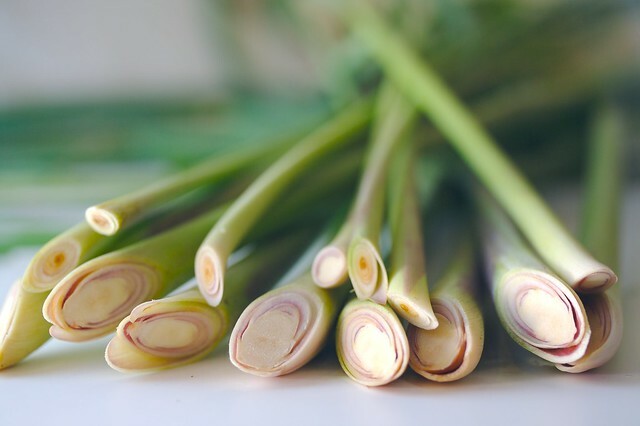 Lemongrass can range from absolutely flavourless to vibrant and fragrant. A lot depends on the climate where it is grown. Lemongrass contains 65-85% citral (also known as lemonal) and myrcene. Other compounds include citronellol, methyl heptenone, dipentene, geraniol, limonene, geranyl acetate and nerol. It citrus flavour profile comes primarily from its high citral content. 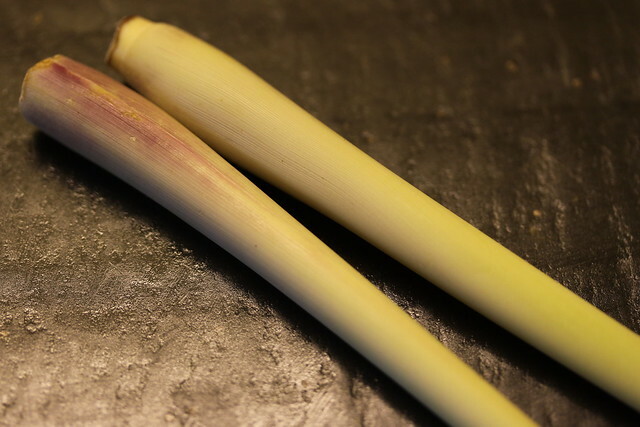 The bottom/root of lemongrass is extremely dry and difficult to use other than when thrown into soup. Even then it is best to cut it off to allow more flavour to be released from the swollen base. Dried out exterior leaves should be discarded in much the same way as peeling away the outer leaves of a leek or onion. Often lemongrass won’t be available in your market or area. Freeze dried alternatives can be very useful if this is the case. Just remember to the top third and prioritize the 7-8cm ‘tender’ section from the swollen bulb upwards. Fresh lemongrass stalks should feel firm and heavy. Lightness is a sign that it has begun the process of drying out and thus offers a weaker flavour profile. Technically lemongrass is available all year round but that largely depends where you live and the level of demand in your region. Lemongrass can keep for up to 3 weeks in the refrigerator if stored in a very well sealed plastic bag. We recommend to use it before though or it can turn into an unappetizing almost flavourless waste of time. Lemongrass is usually added whole and then removed once the cooking process is over. This avoids the unpleasant event of biting into a dried up cardboard strip of a thoroughly cooked lemongrass stalk. If you prefer it can be crushed in a pestle and mortar then used. This is fine, but by doing this a lot of the essential oils will be released and ultimately get lost before the lemongrass actually makes it into the pot. We recommend the crushed garlic strategy if you want the flavour to penetrate into a soup, stew or curry. Bash it a bit with the handle of a knife and throw it right in. On the other hand some like to taste it much the same way as ginger can be cut up into small pieces and actually ends up relatively edible and pleasurable if a young ginger root was used. This rule applies to lemongrass too. If it is tender it can be eaten as long as its cut into very small bitesize pieces. All the other dry woody remains should be reserved for imparting a bit of flavour to something else (or into the rubbish bin). If you are looking for more traditional ways to use lemongrass look no further than South East Asian cooking – specifically Thai. Added to stews and curries can really add another level of flavour to an otherwise bland dish. In Asian cuisine it is usually used alongside bold ingredients and often numerous in number. Tom Yum soup relies on a healthy amount of lemongrass added to it. It really is an essential ingredient in this world famous Thai origin dish. The soup is made of fresh lemongrass, kaffir lime leaves (another excellent citrus flavour ingredient), galangal (relative of the ginger), lime juice, fish sauce, and crushed chili peppers. Tom yum is usually has prawns, fish, chicken or mushrooms added but can also compromise of a whole range of other ingredients depending on the cooks preference. When sliced very thinly lemongrass can be added to stir fries as well as a garnish in salads. Lemongrass is added as a fragrance enhancement to Lechon, the delicious fatty and addictive Filipino national dish. In parts of Africa, India and Mexico it is used to infuse with tea. A great example of this is the Chukku Kappi tea in Kerala, India. Used as a flavouring for crème brulee can really create something surprising and unexpected. The combination with the traditional caramelized flavour profile, the citrus sweetness gives it a kick. Add to a bottle of vodka and allowed to infuse for several days. Rather than creating a sharp overly citrus result, the product is smooth, subtle and unique. Lemongrass goes really with proteins like pork, chicken and beef. It goes really well with seafood and fish in particular prawns. Root vegetables like ginger, galangal and jicama complement lemongrass. Pungent and spicy flavours like fish sauce, chili pepper, mustard and soy sauce combine with lemongrass much the same way these flavours do with other citrus fruits. A special mention should go to coconut milk that tastes incredible with a tender lemongrass left to infuse in it. Use fresh lemongrass as soon as possible. Its flavour profile will diminish the longer you leave it. Don’t rely on what a recipe tells you. Often a supposedly flavourful lemongrass will not give the desired kick. Keep tasting the dish and add more if you are not happy with the intensity. Never leave a large lemongrass stalk in a dish when serving. It’s the same as leaving a turmeric root, cinnamon stick, bay leaf or cardamom pods. Just don’t do it. Once they have had all their flavour extracted what’s left is just not edible. The Yerba Mate tree is a shrub belonging to the holly family which is found in Paraguay, Argentina, Bolivia, Brazil and Uruguay. Brazil is the biggest producer of mate along with Argentina, while the Uruguayans are famous for their high consumption of the traditional drink ‘mate’. Yerba Mate is said to provide more polyphenols and flavanoids than either red wine or green tea as well as less tannin content. In recent years it has exploded in popularity outside of its native consumption region. There really is no other way of putting it. 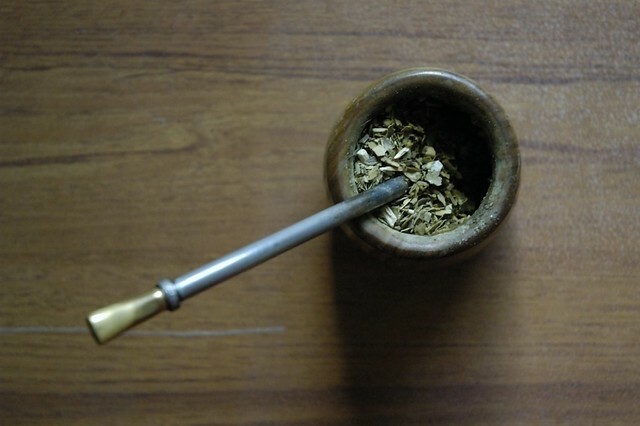 Yerba mate is really bitter and often first considered as an unpleasant taste. It does possess a herbal and grassy flavour profile but the overwhelming sensation is of bitterness. It is an acquired taste often outweighed by the social and health benefits that come with it. Purists would be horrified by the idea of adding sugar to it or even worse sweetener but this practice is extremely common too among mate drinkers. It has a low level of caffeine that is uniquely bound with an alkaloid, making it an exceptional tool for endurance performances because it produces an energy like coffee and teas, but without the muscle tension. 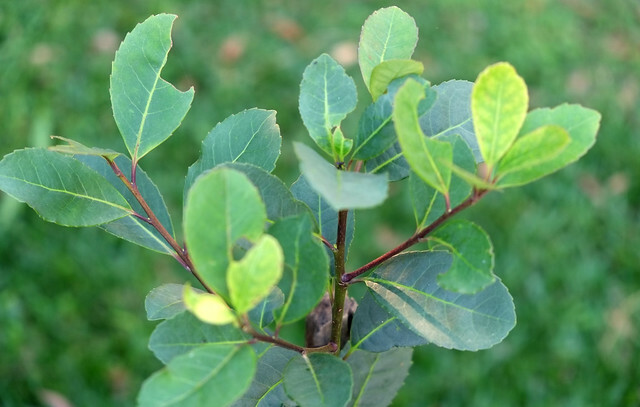 The leaves contains three xanthines: caffeine, theobromine and theophylline with the former a well known stimulant, hence its power as an alternative to coffee and tea. Female plants tend to be milder in flavour and lower in caffeine, while yerba mate harvested in summer has a higher caffeine content than spring or fall. Other uses include the toasting of yerba mate to form ‘mate cocido’ – cooked mate. It is most commonly served in the form of a tea bag or freshly made and then put in a strainer. Terere is yerba mate chilled with iced fruit juice or water.